About 50km south of the Mozart City lies the idyllic Bischofshofen. This winter sports paradise has clearly earnt the right to host the Four Hills Tournament. The city of Bischosfhofen is popular with tourists and locals alike. Close to the city of Mozart, but located in a picturesque landscape, Bischofshofen offers everything the heart desires. Famous landmarks and attractions such as the Castle Hohenwerfen, the Ice Caves, and the Hellbrunn Palace are all in the immediate vicinity. The Celtic town of Hallein, the picturesque Bluntau Valley or the Silent Night town of Wagrain are less than 30 minutes away. Around Bischofshofen, mining was done more than 500 years ago. The Geopark “Ore of the Alps” is always worth a visit. Together with the neighbouring towns of Huttau, Mühlbach and St. Veit it has been recognised by UNESCO. The exciting history of ore mining, its development, and the importance for the region are shown in a particularly interesting way in the Geopark. All four locations are connected by the copper trail. This scenic hiking trail runs from town to town and to the respective museums and show mines. The visitors centre in Bischofshofen is regarded as the best starting point – the excursion starts with important information in the luggage. 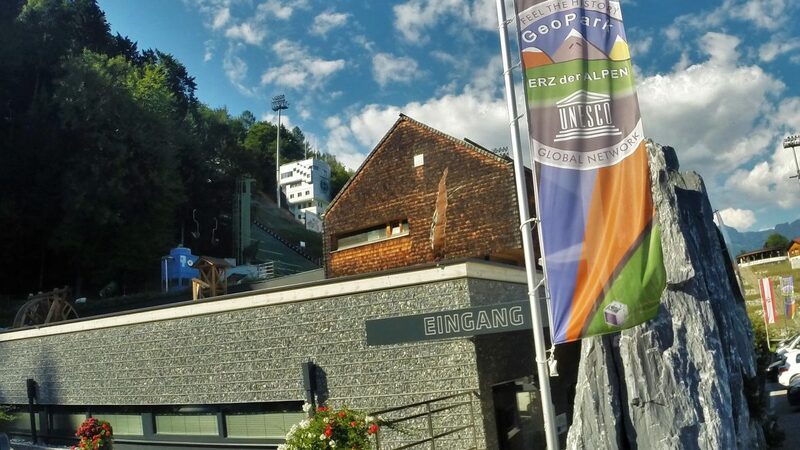 For sports enthusiasts, there is a wide range of offers all year round in Bischofshofen. The unspoilt nature invites for walking, hiking, running and cycling. The surrounding Hochkönig Mountain, along with the Tennengebirge and Fritz Valley Mountains are ideal for hikes at every level. In the winter months, the Four Hills Tournament on the Paul-Außerleitner redoubt is a fixed part of the events calendar. The perfect location in the heart of the Amadé Ski World offers over 270 perfectly groomed slopes for skiers, snowboarders, freeriders, and more.